The researchers, reporting April 10 in the Proceedings of the National Academy of Sciences, used sophisticated mapping to pinpoint the location of clusters of cholera cases before, during and after El Niño years. 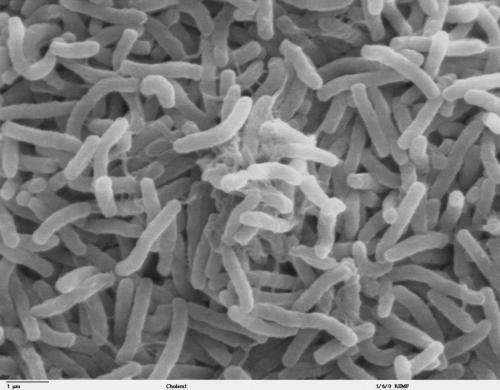 Cholera is an infectious and often fatal bacterial disease, typically contracted from infected water supplies and causing severe vomiting and diarrhea. Africa has the most cholera deaths in the world. "We usually know when El Niño is coming six to 12 months before it occurs," says study leader Justin Lessler, an associate professor of epidemiology at the Bloomberg School. "Knowing there is elevated cholera risk in a particular region can help reduce the number of deaths that result. If you have cholera treatment centers available, fast, supportive care can reduce the fatality rate from cholera from as high as 30 percent to next to nothing." The total number of cases of cholera across Africa as a whole were about the same in El Niño years as compared to non-El Niño years, the researchers found, but the geographic distribution of illnesses was fundamentally different. El Niño conditions in the equatorial Pacific region strongly impact weather conditions globally, including increasing rainfall in East Africa and decreasing rainfall in drier areas of northern and southern Africa. During the years classified as El Niño between 2000 and 2014, cholera incidence increased threefold in regions such as East Africa that had the strongest association between El Niño and cholera, with 177 million people living in areas that experienced an increase in cholera cases during a time of additional rainfall. At the same time, there were 30,000 fewer cases in southern Africa during El Niño where there was less rainfall than normal. Parts of central West Africa, however, saw significantly fewer cases of cholera, but with little change in rainfall patterns. While El Niño brings wetter and warmer weather to East Africa, rainfall is not the only variable that appears to impact cholera rates, Lessler says. Cholera is almost always linked to vulnerable water systems. In some areas, massive rainfall can overrun sewer systems and contaminate drinking water. In other locations, however, dry conditions can mean that clean water sources aren't available and people must consume water from sources known to be contaminated. "Countries in East Africa, including Tanzania and Kenya, have experienced several large cholera outbreaks in recent decades," says study author Sean Moore, PhD, a post-doctoral fellow in the Bloomberg School's Department of Epidemiology. "Linking these outbreaks to El Niño events and increased rainfall improves our understanding of the environmental conditions that promote cholera transmission in the region and will help predict future outbreaks." For the study, Lessler, Moore and their colleagues collected data on cholera cases in Africa from 360 separate data sets, analyzing 17,000 annual observations from 3,710 different locations between 2000 and 2014. The researchers note that there were weak El Niño years from 2004 to 2007, while 2002-2003 and 2009-2010 were classified as moderate-to-strong El Niño years. They say that 2015-2016 was also an El Niño year with the largest cholera outbreak since the 1997-1998 El Niño occurring in Tanzania. Using this knowledge of a link between cholera and El Niño could allow countries to prepare for outbreaks long before they start, Lessler says. Currently, there is an approved vaccine for cholera, but its effects are not lifelong and there are not enough doses for everyone in areas that could be impacted by El Niño. Once there is more vaccine, he says, it can be another tool for health officials to use as they try to prevent deadly cholera in their nations. As climate change continues, disease patterns will continue to change as well, Lessler says. Often, the story is that climate change will put more people at risk for more types of diseases. "But what the link between cholera and El Niño tells us is that changes may be subtler than that," he says. "There will be winners and losers. It's not a one-way street."